Richiblog: Don't call it "new"! But calling it "old" is OK.
Don't call it "new"! 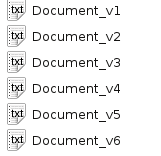 But calling it "old" is OK.
Have you ever seen a directory with files names like this? Which is the current one and which are older working copies? 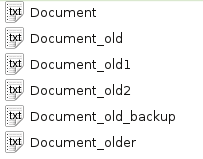 Of course that means you need to save the changes in 2 steps. 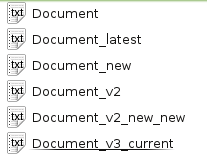 You will have to save the new version of the document under a temporary name close the document, go to the explorer and rename 2 files. The effort is worth it!